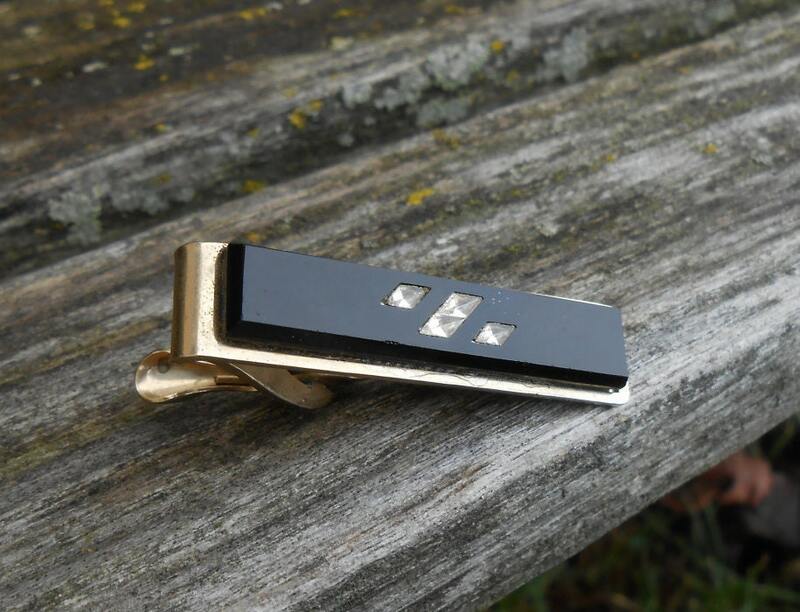 This vintage tie clip is a gold tone, with a black front, and has some diamond cut rhinestones embedded in it. 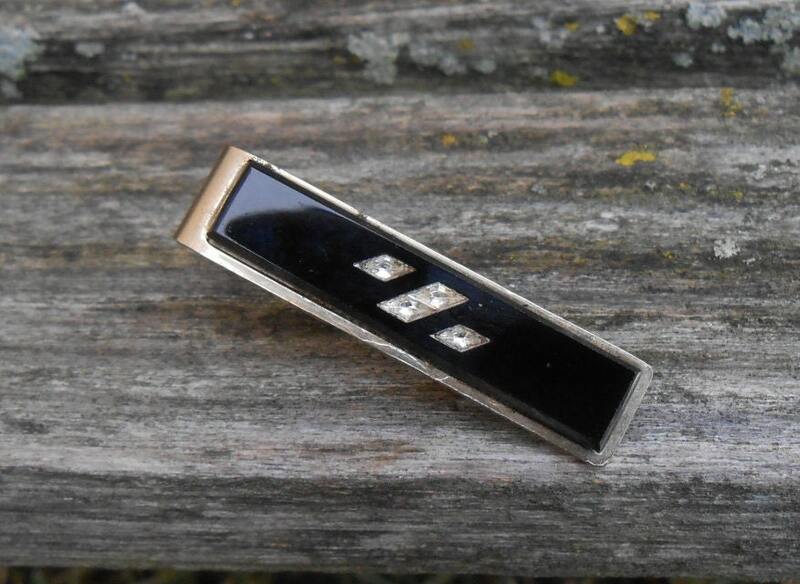 It was made in the 1980s and measures 1 5/8" long. 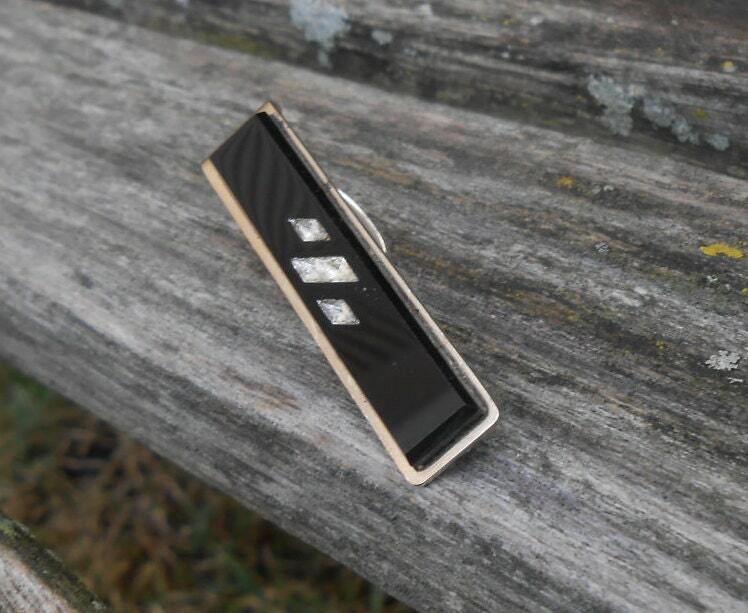 This would be a great gift for any time of the year! 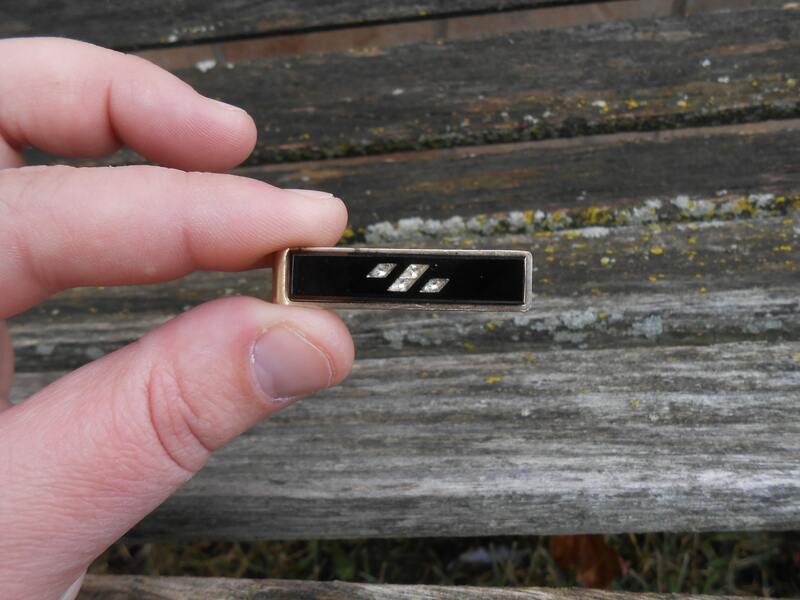 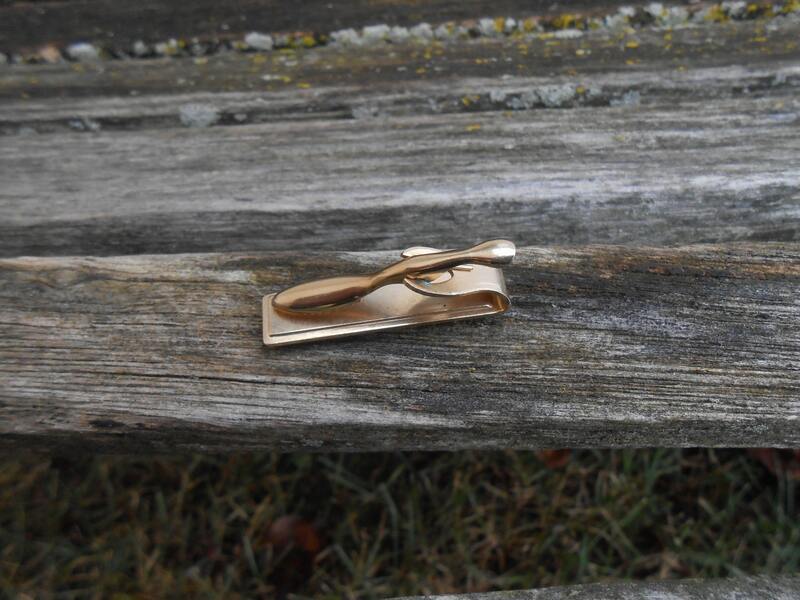 A great tie clip for a wedding, for a Christmas gift, for Father's Day, or a birthday.